With the Viper SmartKey module, you will never have to press a button to get into your vehicle again. All you need is your smartphone in your pocket or purse. 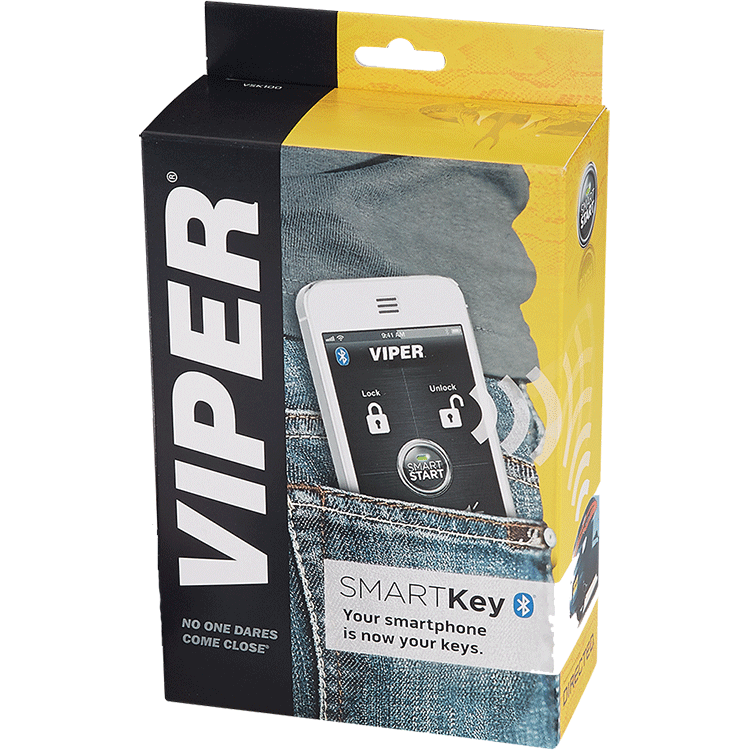 Install the Viper SmartKey as a standalone unit to lock and unlock your doors, or add it to virtually any Viper security or remote start system allowing you to control your car with your smartphone. As you approach your car, the Bluetooth system in your phone connects with the VSK100 automatically. Using the SmartKey is simple and fast, because it connects via Bluetooth® technology for direct, short-range communication with your vehicle. You can use SmartKey by itself, or with any compatible Viper SMARTSTART system to ensure access to your vehicle using your smartphone even when you’re out of cellular coverage.